Therese M. Atherton, 90, a lifelong resident of Franklin, died Sunday, June 17, 2018 at the Merrimack County Nursing Home in Boscawen following a short illness. Therese was born in Franklin, July 12,1927, daughter of Donat and Eva (Gaudette) Bergeron. She lived in Franklin all of her life, until her health began to fail. She worked for many years as a supervisor at the former Dutton Mfg. Company in Laconia. 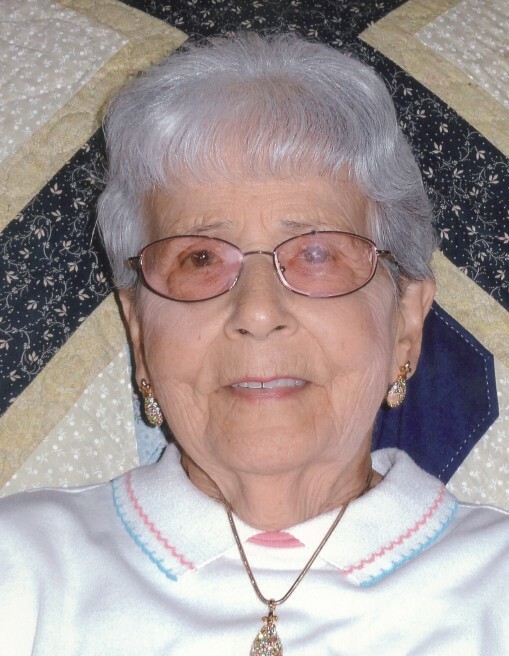 She attended Franklin Schools and was a devoted parishioner of St. Paul Catholic Church, now St. Gabriel Parish. Therese was active with the local Catholic Daughters of the Americas. She was an avid seamstress and loved collecting dolls and angels. She enjoyed time spent with friends at the Tripp Center in Franklin. Therese was predeceased by her husband of 25 years, James W. Atherton Jr. who died in 2006, a son, David Nadeau in 2008; siblings, Joseph, Laurier and Normand Bergeron, Dorothee LaPlante, Dora Bergeron, Rita Brough, May Harbour, Claire Charland, Leda Schwan, and Anita Thibeault. Therese leaves, a grandson, Kevin Nadeau of Georgia and brother, Maurice Bergeron of Nebraska. According to her wishes, she requested that she be mentioned in a morning Mass at St Paul Church of St. Gabriel Parish in Franklin. No services are planned and burial will take place at a later date. For those who wish, Memorial Mass Offerings may be made to St. Paul Church.